We just finished a fireplace hearth and surround in Interior Designer Caitlin Creer's own home. 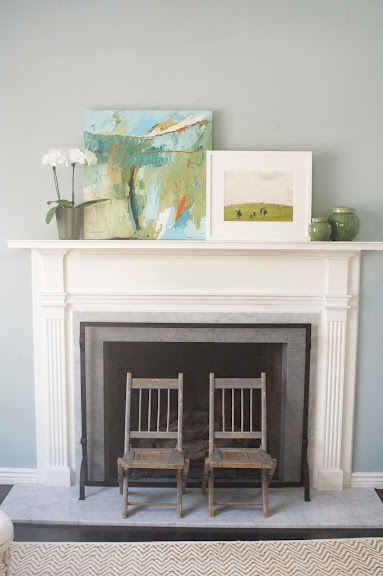 Caitlin is one of my favorite Interior Designer's to work with and her blog is one of my favorites to read. She does beautiful work. 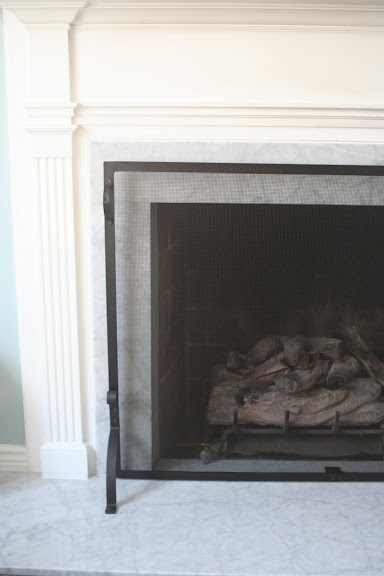 She selected Carrara marble from our stock and a 3/4" Square Polished edge detail on the hearth. The Carrara looks great with her white mantle and blue walls. To see more pictures of the fireplace, including the 'Before' picture check out Caitlin's blog. Thanks Caitlin for letting us be a part of your gorgeous home!